Rajya Sabha MP and Senior Advocate Ram Jethmalani and Bhartiya Janta Party (BJP), on Thursday, filed a joint application to end the suit filed by the former against his expulsion from the party. The application was filed before the court of additional district court Judge Sumit Dass, Patiala House, New Delhi. The court is expected to consider it and pass its order on Friday. The case pertains to Mr. Jethmalani’s expulsion from the party in May, 2013 for “breach of discipline”, after he openly criticized the party leadership. The suit had alleged that as per the Constitution of the party, the power to expel a member rested with its disciplinary body, and not its parliamentary board. The disciplinary board, was, however not in existence at the time of expulsion. 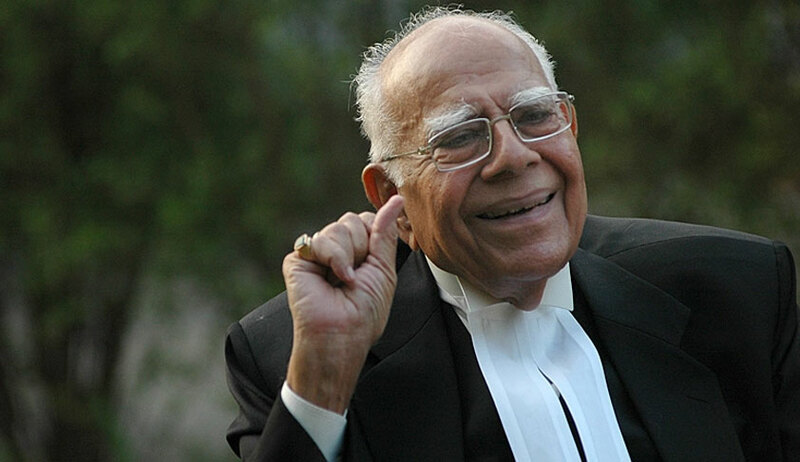 Mr. Jethmalani had hence urged the Court to declare his expulsion null and void, and had sought damages of Rs. 50 lakh. The joint application now states that BJP President Amit Shah, along with party General Secretary Bhupender Yadav recently called upon Mr. Jethmalani to express their “sincere regret” at his expulsion. “The President and the General Secretary of Defendant No. 1 party have acknowledged the contribution of Plaintiff to Defendant No. 1 party since the days he was the founding Vice President of Defendant No. 1,” it adds. Mr. Jethmalani, it says, “acknowledges the gracious conduct” of Mr. Shah and Mr. Yadav, thereby agreeing to amicably settle the case.